Lance London does it again with his newest Carolina Kitchen! 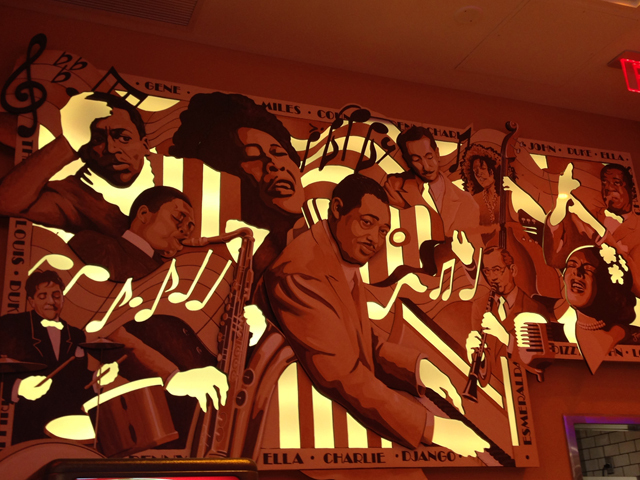 He explains: “I took low-country cooking—Southern cuisine, if you will—and I infused it with a Vegas flair.” We approached him with this new concept of a jazz themed light box that subtly changes colors. After seeing a mock up he told us to go for it and "THE C.K. ALL STAR BAND" was formed! Go check out the piece and enjoy lunch or dinner at his newest restaurant at Rhode Island Row in Brentwood.